Joel Katz has worked as an east coast field engineer for Ampex. 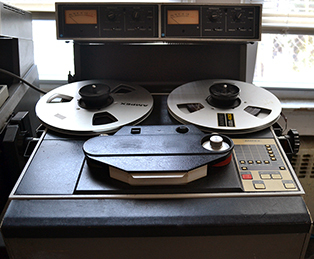 Joel specializes in restoring and repairing all Ampex equipment including 350 and 351 tube machines. 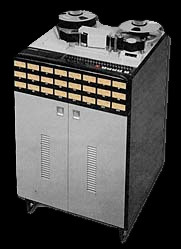 He also services MCI and Studer tape machines. analog machines featuring Ampex and Studer. Joel has a large inventory of vintage and NOS tubes for recording equipment and tube amplifiers. 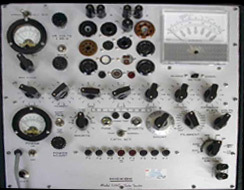 He uses Hickock tube testers and digital tube testers for grading and matching. He also services tube microphones. Call Joel at 201-791-8718 for all amplifier, radio, TV, and microphone tubes. Joel helped design this new vintage tube pre amp to his specifications to rave reviews using the knowledge he gained in his years of recording and servicing. Ask him for referrals. Call if interested. 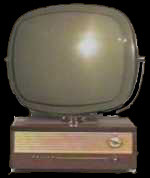 Joel also reconditions, repairs, restores and sells this style of Philco Predicta televisions. He also reconditions, repairs, restores and sells vintage radios. Call Joel at 201-791-8718 if you are interested in purchasing vintage radios and TVs.